On Monday 3rd September 2012 I descended the Shard to raise serious amounts of money for Commando Spirit. This involved abseiling 1,000 feet from the top of the tallest building in Western Europe with 40 other descendants or “Shardists” including HRH the Duke of York, Ffion Hague, Sir Chris Bonnington and yours truly, an intrepid pensions consultant. 1. The challenge of raising £25,000 for Commando Spirit and the Royal Marines Charitable Trust Fund. A huge thank you to all 315 people who kindly sponsored me to date. 2. 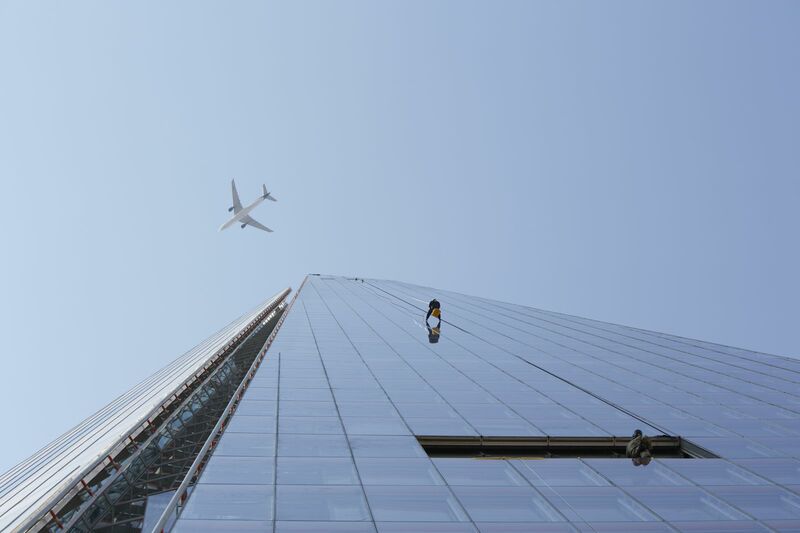 The mental challenge of standing at the top of top of the tallest building in Western Europe, to lean backwards and step-out onto the sheer glass of the Shard with a 1,000 feet vertical fall below. I have to admit that, two weeks beforehand, the fear started to build. On the Monday morning of the descent, my mind was distracted by a client Investment Committee meeting; but, at midday, when I had to leave for London Bridge, the butterflies quickly entered my stomach. These were the most serious butterflies of my life. As I made my way to London Bridge to put on my jumpsuit, harness and safety helmet, the fear and anticipation continued to build. While The Descent is done, our work has just begun. Many thanks for everyone’s support and ultra-generous sponsorship to date. With less than a week to Remembrance Sunday, I wanted to make a final fundraising push to raise £25,000 for our heroes the Royal Marines. A huge thank you and enjoy the video(s)! here and visit more often. Didd you hire out a develpper to create your theme?